Skyway™ Premium Controlled Roll Towels offer strength and absorbency for quality performance. Use with Skyways’s Controlled Use Dispensing Systems to reduce maintenance time and waste. Skyway™ Premium Controlled Roll Towels absorb wetness quickly, reducing the amount of towel needed per hand dry. The most discriminating customers will appreciate the strength and softness of Skyway™ Premium Controlled Roll Towels. 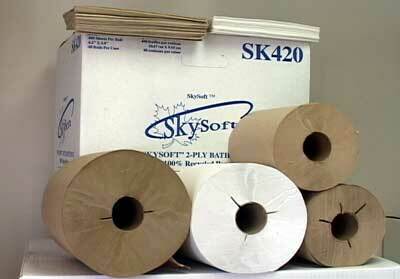 SkySoft® products are compatible with many previously proprietary dispensers.